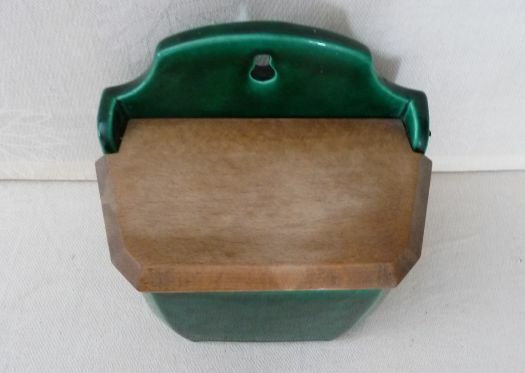 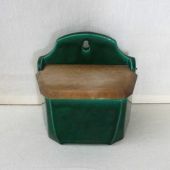 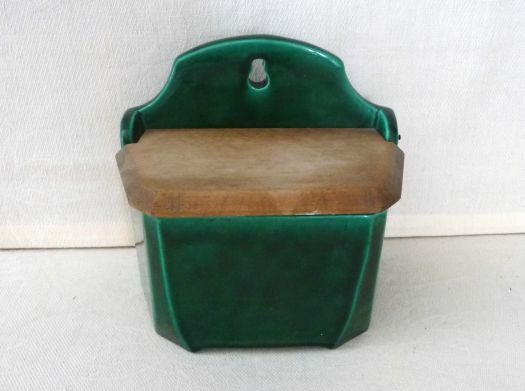 Nice salt box, with a nice emerald green color. 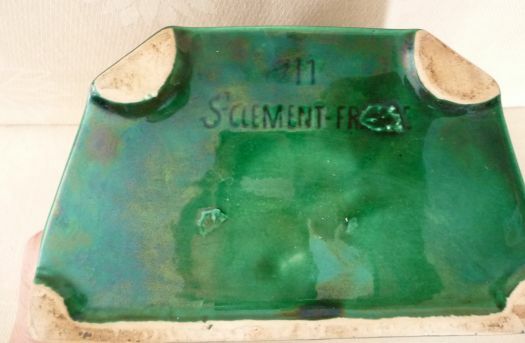 Made by St Clement's manufacture (east of France). 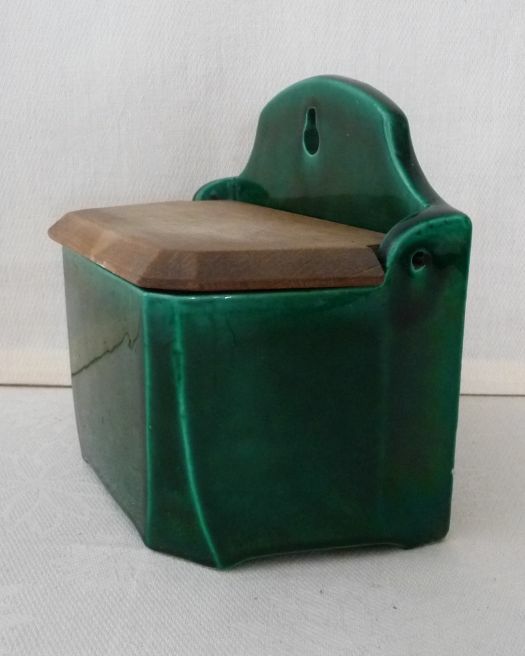 17 cm x 10,5 cm ; height 16,2 cm.